Got a taste for the brown stuff? 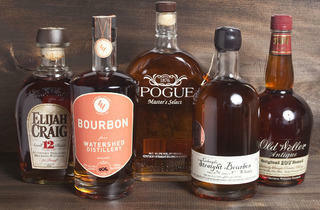 TONY’s got you covered with our list of the country’s best bourbons. Photograph: Noffar GatThe honky-tonk harmony of BBQ and bourbon is as classic as Wranglers with cowboy boots. Brown-spirits buff Keith Biesack&mdash;who oversees a 200-bottle collection at Char No. 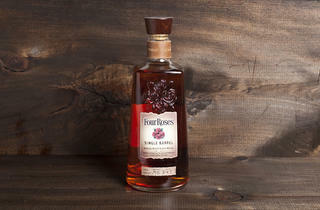 4&mdash;gives us his picks for the country&rsquo;s best bourbon. Fill a tumbler with one of these standout hooches. 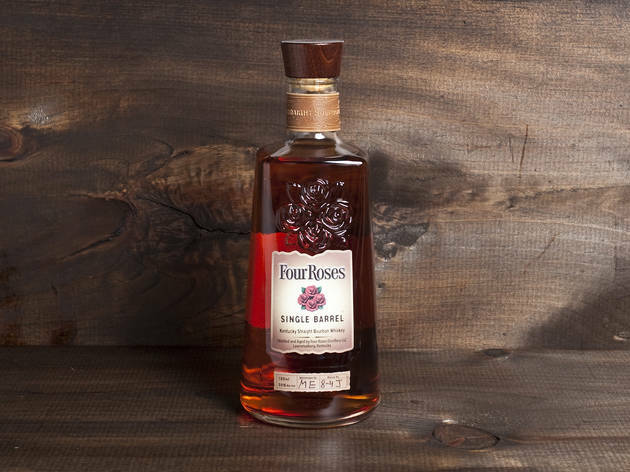 Photograph: Noffar GatFour Roses Single Barrel Each year, the Four Roses distillery in Kentucky produces ten distinct bourbon recipes and chooses one to be sold in limited quantities&mdash;a highly sought-after release in the brown-spirits sphere. 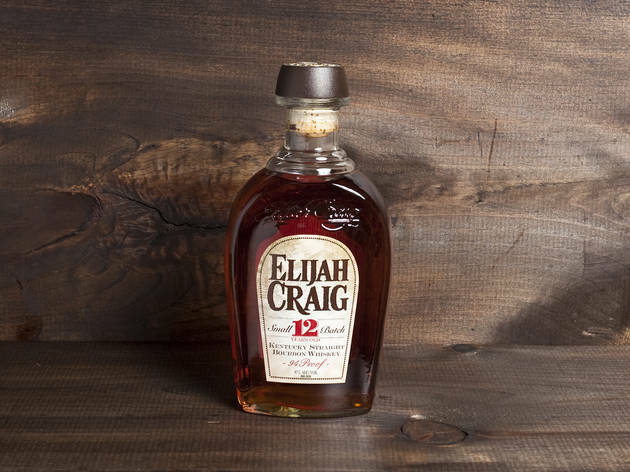 &ldquo;This was the first bourbon that got me hooked,&rdquo; says Biesack. 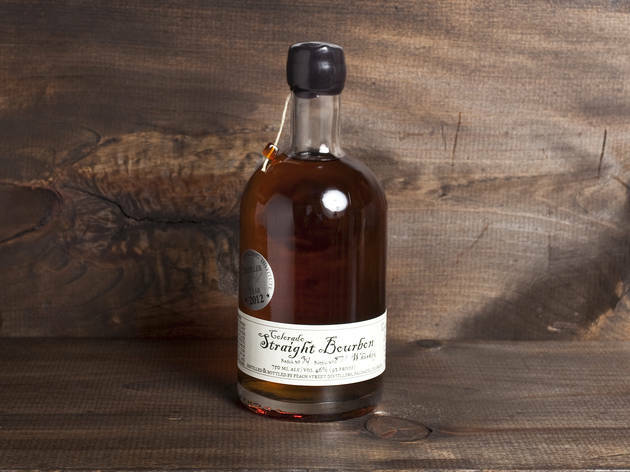 &ldquo;The mouthfeel is amazingly satisfying and warming, but it has a light elegance to it from the rye, which provides some herbal, almost grassy notes on the palate. It&rsquo;s a great one to drink in spring and summer.&rdquo; Available at Astor Wines &amp; Spirits, 399 Lafayette St at 4th St (212-674-7500). 750ml $43.99. Photograph: Noffar GatPeach Street Colorado Straight Bourbon The artisan distillers running this small-scale production in Palisades, Colorado, use local sweet corn and grains to churn out just three barrels each week. 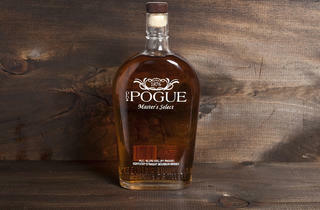 Their product is pot-distilled just once to maintain the natural essence of the homegrown ingredients. &ldquo;It has a great fresh fruit quality, with tones of peach, apple and other stone fruits, which makes it very refreshing,&rdquo; says Biesack. Available at Astor Wine &amp; Spirits, 399 Lafayette St at 4th St (212-674-7500). 750ml $65.99. Photograph: Noffar GatHancock&rsquo;s President&rsquo;s Reserve The Kentucky spirit ages for a minimum of four years in the Buffalo Trace company&rsquo;s rickhouse&mdash;a warehouse where the barrels are stored and matured&mdash;picking up flavors from the charred wood, which expands and contracts as temperatures change with the seasons. 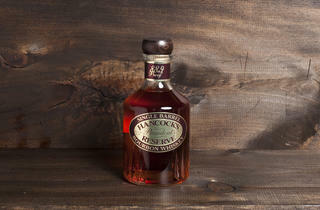 After the aging process, a master distiller specially selects it for its deep, layered flavors. 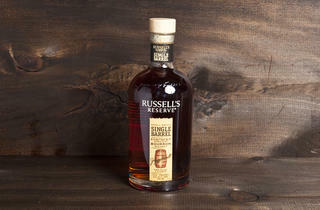 &ldquo;This is a chewy, filling bourbon that&rsquo;s great after a meal,&rdquo; says Biesack. Available at Heights Chateau, 123 Atlantic Ave between Clinton and Henry Sts, Brooklyn Heights (718-330-0963). 750ml $48.99. 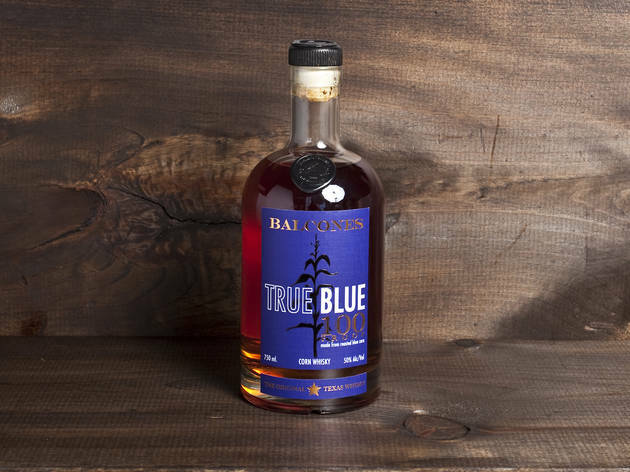 Photograph: Noffar GatBalcones True Blue 100-Proof Made with Hopi blue corn&mdash;an ancient strain with more oil and less starch than regular variety&mdash;this Texas-born bourbon hits sweet and spicy notes like caramel, orange and cinnamon. &ldquo;This really taught me the beauty of high-proof whiskey. Add one solid cube of ice, and you&rsquo;re able to experience the whiskey as it descends in proof,&rdquo; says Biesack. &ldquo;It&rsquo;s not static; it evolves and changes.&rdquo; Available at Astor Wines &amp; Spirits, 399 Lafayette St at 4th St (212-674-7500). 750ml $64.99. 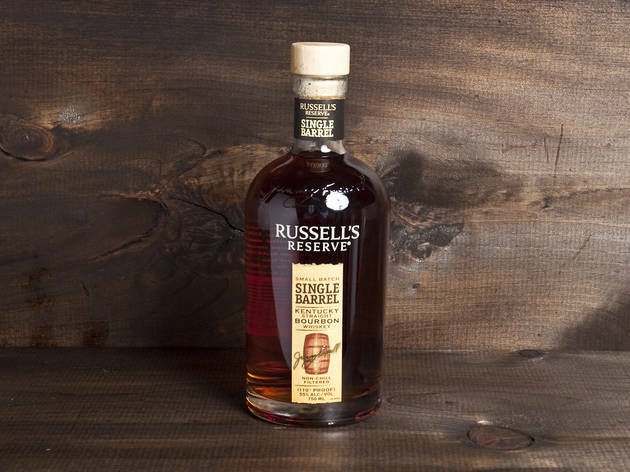 Photograph: Noffar GatRussell&rsquo;s Reserve Small Batch Single Barrel &ldquo;You can really feel that there&rsquo;s a master at the controls when you taste this whiskey,&rdquo; says Biesack, referring to Wild Turkey veteran distillers, father-and-son team Jimmy and Eddie Russell, who selected this batch for a limited-edition run. 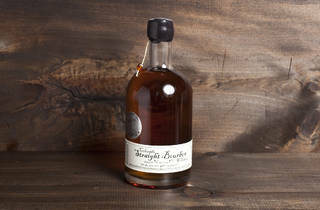 While bourbon is usually diluted after aging for large-scale bottling, this one has no water added following maturation and maintains its barrel proof of 110, giving it the bite for which Wild Turkey is known. &ldquo;You&rsquo;re getting a lot of flavors and textures that are often lost when you add water to cut a bourbon down,&rdquo; adds Biesack. &ldquo;You don&rsquo;t just feel the heat from the high proof; it&rsquo;s beautifully complex.&rdquo; Available at Warehouse Wines &amp; Spirits, 735 Broadway between 8th St and Waverly Pl (212-982-7770). 750ml $34.99. 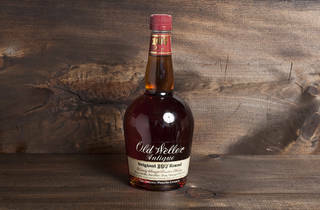 Photograph: Noffar GatOld Weller Antique 107 The flavor grain here is wheat instead of rye, qualifying the bottle as a &ldquo;wheated bourbon.&rdquo; Its nuttiness complements corn&rsquo;s natural sweetness and gives the 107-proof Kentucky spirit a unique tone. &ldquo;Imagine the difference between wheat and rye bread. That translates to this flavor profile.&rdquo; Available at Park Avenue Liquor, 292 Madison Ave between 40th and 41st Sts (212-685-2442). 750ml $33. 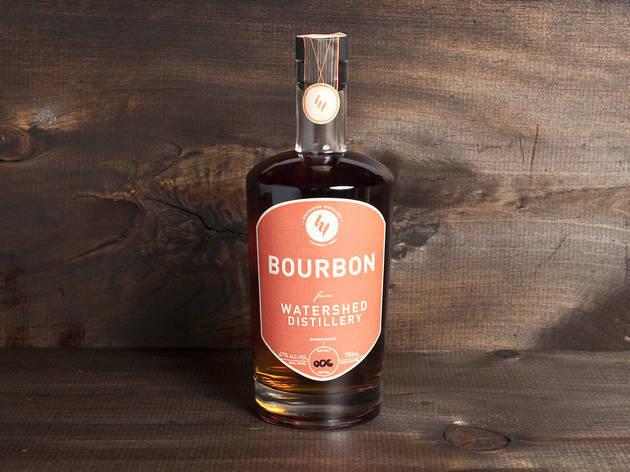 Photograph: Noffar GatWatershed Bourbon New-wave Ohio distillery Watershed keeps its bourbon young, aging it for just two-and-a-half years, though many aficionados believe the sweet spot lies between eight and ten. Featuring the unusual addition of spelt, this bottle represents the slowly developing trend of adding unorthodox grains to the traditional corn and rye. &ldquo;There&rsquo;s something about being a bourbon and following those regulations, and then there&rsquo;s also the spirit of American distilling,&rdquo; says Biesack. &ldquo;We have these grains around us; let&rsquo;s use them and make something unique.&rdquo; Available at Acker, Merrall &amp; Condit Co., 160 W 72nd St between Columbus Ave and Broadway (212-787-1700). 750ml $38.99. 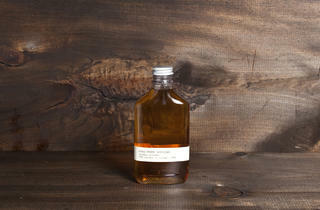 Photograph: Noffar GatKings County Distillery Bourbon This small-batch distillery popped up in a tiny Bushwick office in 2010 before putting down roots the 113-year-old Paymaster Building in the Brooklyn Navy Yard. From cornfield to bottle, its bourbon is New York&ndash;born and &ndash;bred, made with 70 percent upstate kernels. &ldquo;This one has been on our shelves for a long time. If you buy it regularly, you really notice the change from batch to batch,&rdquo; says Biesack. Available at Astor Wines &amp; Spirits, 399 Lafayette St at 4th St (212-674-7500). 200ml $22.99. 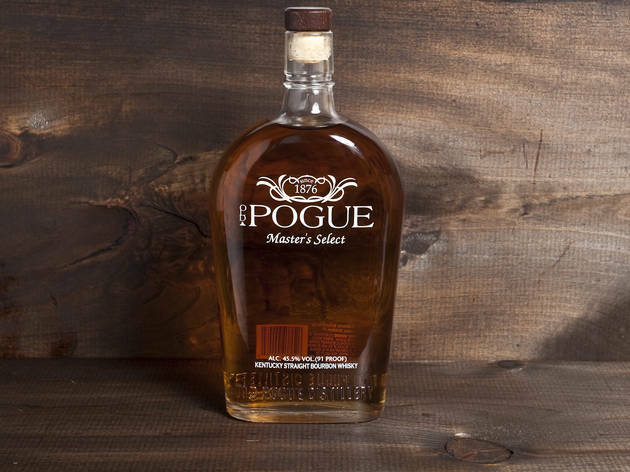 Photograph: Noffar GatOld Pogue 12-Year Master&rsquo;s Select Made in bourbon&rsquo;s birthplace&mdash;Maysville, Kentucky&mdash;this enduring favorite has earned praise since before Prohibition. The original distillery crumbled following World War II, after years of neglect. But fourth- and fifth-generation family members of the founders rebuilt on the same plot of land in 2012, and they now cook up an heirloom recipe from Civil War times. &ldquo;A traditional mash bill [recipe] of corn, rye and malted barley provides truly classic flavors: big spice, round wood notes and some nice heat,&rdquo; says Biesack. 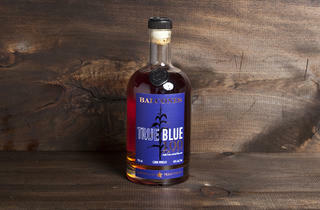 Available at Astor Wines &amp; Spirits, 399 Lafayette St at 4th St (212-674-7500). 750ml $43.99. 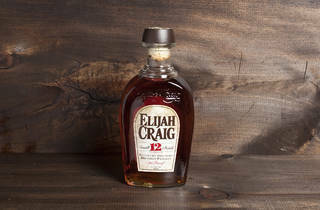 Photograph: Noffar GatElijah Craig 12-Year-Old Legend has it that Baptist minister Elijah Craig invented the process of aging bourbon in charred barrels in the 1700s. True or not, Heaven Hill&mdash;a historic family-operated distillery, established in 1934 in Bardstown, Kentucky &mdash;created a 12-year small-batch brew inspired by this bit of lore. 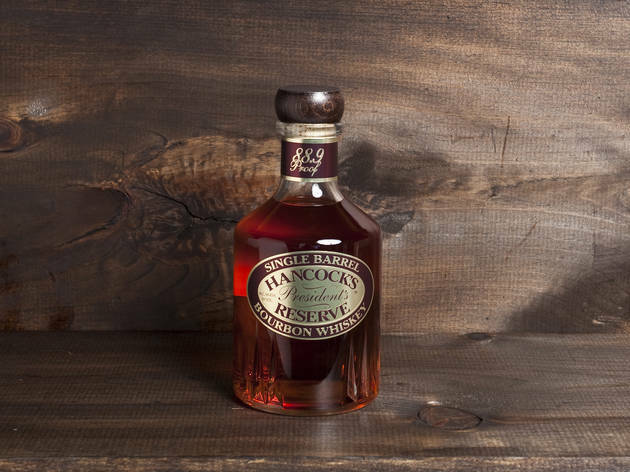 &ldquo;To find such a complex whiskey at this price point is rare,&rdquo; says Biesack. 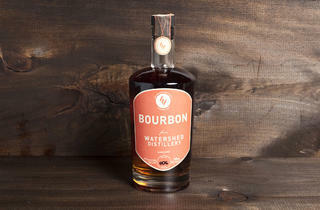 &ldquo; The distillers aren&rsquo;t trying to hit any premium market with it, which speaks to the roots of the spirit itself. 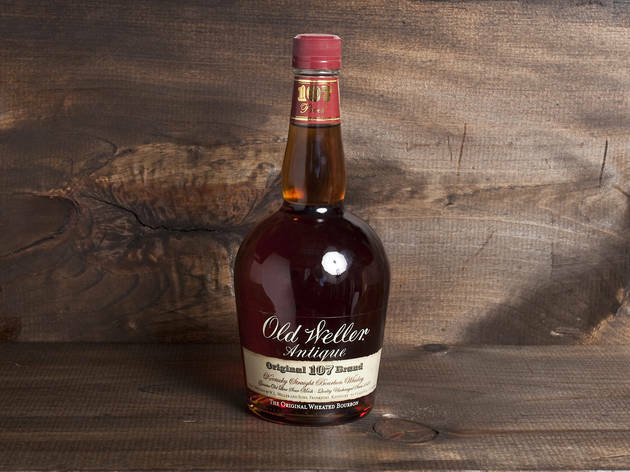 Bourbon was originally made as a surplus product, not a luxury.&rdquo; Available at Astor Wines &amp; Spirits, 399 Lafayette St at 4th St (212-674-7500). 750ml $24.99.